The color scheme is fully customizable to your choosing. Switch the background image to whatever you like – Just send us the image! You can add or remove any social media. We’ll replace USERNAME with your own gamer name. 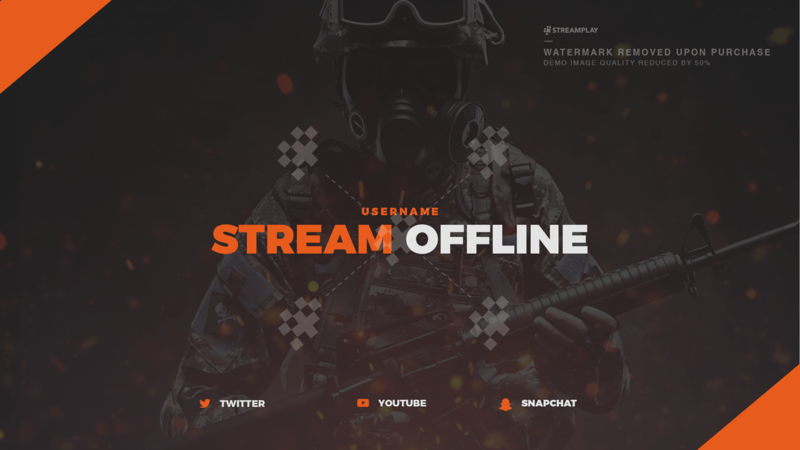 Like how this offline banner looks? I’m new to Twitch and YouTube, They have done some amazing work creating something awesome for me to use on Twitch, Perfect for the new comer to Streaming or Content creators like me. 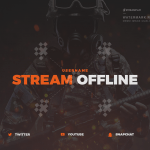 The offline banner came out perfect! Turned out great exactly how I wanted just like everything else I’ve purchased from Streamplay. Amazing customer service and fast delivery, look forward to ordering again and doing more work with this company.